With spring in the air this month we feature Beethoven’s “Spring Sonata” for violin & piano (No. 5 Op. 24 in F major), and the lovely passionate Debussy sonata in G minor, his final composition. 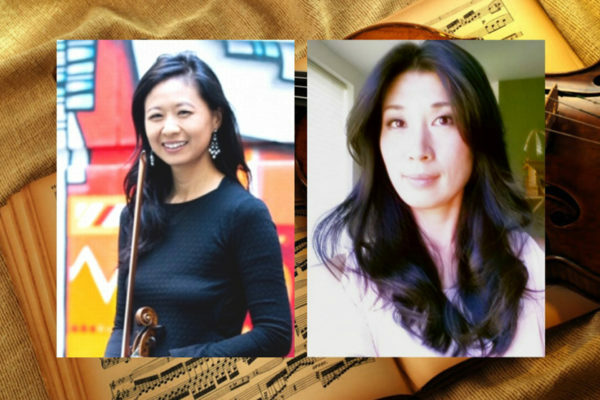 Rounding out the program, a suite from Bernstein’s “Westside Story.” Virtuoso violinist Pamela Liu, concertmaster of the Cascade Symphony, returns along with veteran pianist Harumi Makiyama who has performed in Europe, Asia and across the US, she earned her Doctor of Musical Art degree in Piano Performance from University of Washington, and masters degrees from both the New England Conservatory of Music and Elisabeth University of Music in Hiroshima, Japan. (Please note that “Bartok Contrasts” previously scheduled will not be performed due to unforeseen circumstances).